The Cedar Rapids IFL franchise has announced the team’s new name will be the River Kings as “Part One” of the team’s rebranding effort in preparation for the 2019 IFL season. The former Titans, led by new ownership and management after a purchase of the team last June, opened a “Name The Team” contest last month. After two weeks, team management put a group of finalists to the test before re-opening the contest for a Wild Card Round and making their final selection. The River Kings was an original submission by Jennifer Hadenfeldt who will receive a prize pack that includes: one (1) authentic 2019 team jersey, four (4) logo t-shirts, four (4) logo hats, four (4) lower level sideline season tickets, and the opportunity to join the team for a 2019 regular season road game against a conference rival. The name received a number of votes during the Wild Card Round and had a range of similar concept entries including Kings, Kingston, Kingmen, and River themed names. 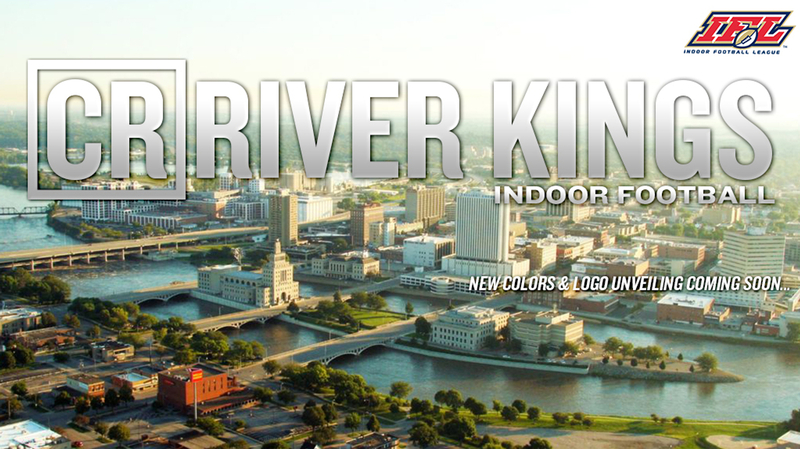 “Part One” of the team’s rebrand featuring the River Kings name can be attributed to local elements including a primary geographical feature in the Cedar River that runs through downtown Cedar Rapids and a historical tip of the cap to Kingston, a settlement established on the west side of the Cedar River by David W. King that incorporated in 1852. King laid the groundwork for the city of Kingston between the river and present day Third Avenue SW until his death in 1854 from exposure due to fighting a prairie fire on the west side of his new city. Kingston would later be annexed to Cedar Rapids in 1871 and would go on to be recognized as West Cedar Rapids over time. In recent years, the area now known as Kingston Village has seen revitalization and new development efforts to the commercial and residential properties in the neighborhood. The team will now undergo logo development and the final selection of team colors with the unveiling scheduled to take place by mid-October. 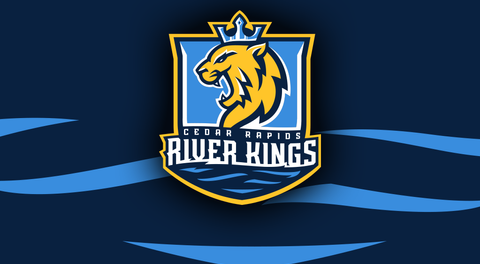 The team’s brand identity and mascot, coined as “Part Two” of the rebranding effort, are also planned to have historical references of Cedar Rapids. The team will continue to undergo administrative changes to their website and social platforms. Fans can visit the teams current site at www.cedarrapidstitans.com which will soon be forwarded to the new website at www.goriverkings.com. For questions about the team, contact General Manager Ryan Eucker at ryan@goriverkings.com. The River Kings plan to make additional announcements in the coming week ranging from the announcement of the head coach to the dance team director and front office staff, as well as, dance team tryouts and the sale of season tickets for the 2019 IFL season.